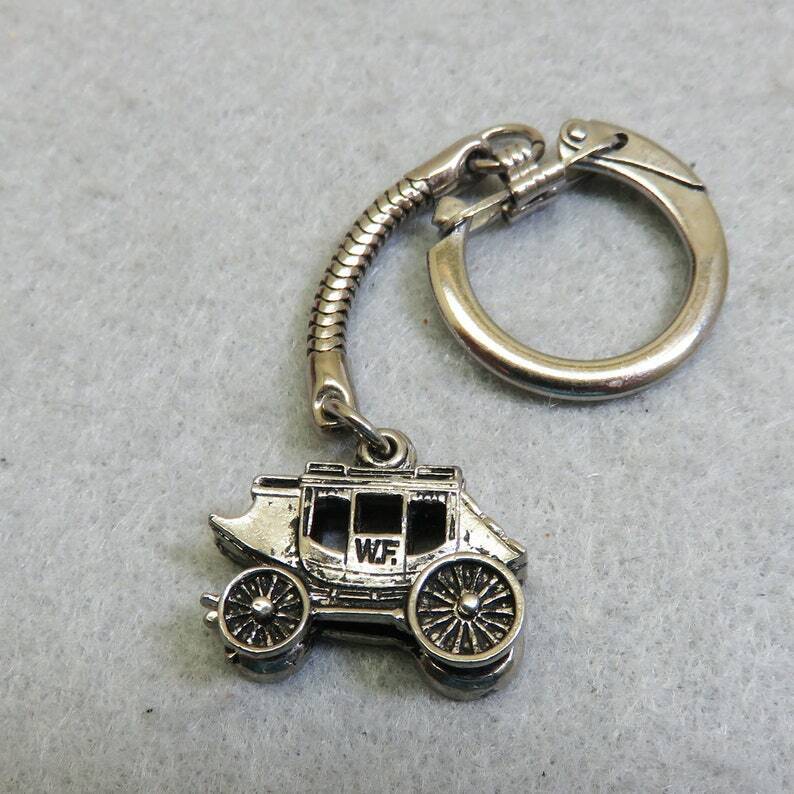 This neat vintage shiny silvery metal keychain has the cutest little miniature stagecoach charmas the fob. The stagecoach is marked, WF and measures 1 inch wide by 3/4 inches tall. It is attached to a silvery metal key ring measuring 1 inch in diameter. 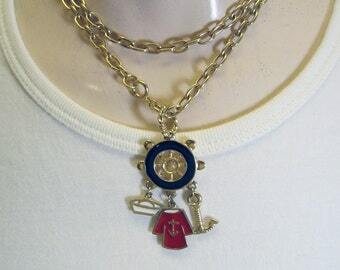 We will send this to you in a lovely gift box for easy gift giving or safe storage.